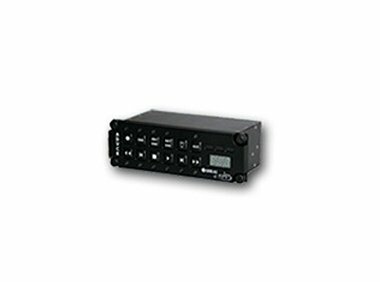 The RCU-21 is an airborne qualified control panel for the ADV-21 Compact Solid State Video Recorder. The control panel is connected to the recorder via RS-422 interface enabling all important Record and Playback functions of the recorder. The unit also utilizes the Event Mark function (EMK) of the recorder with Write as well as Search commands. The RCU-21 is also available as NVG compatible versions.